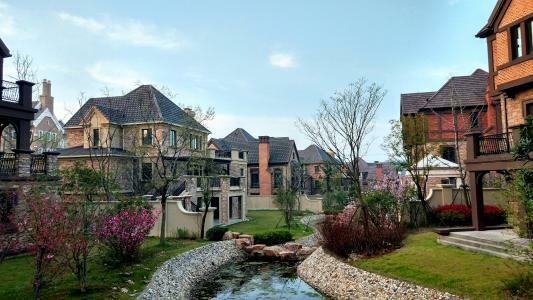 We help you find an ideal home in Beijing, make your relocation easy and smooth. 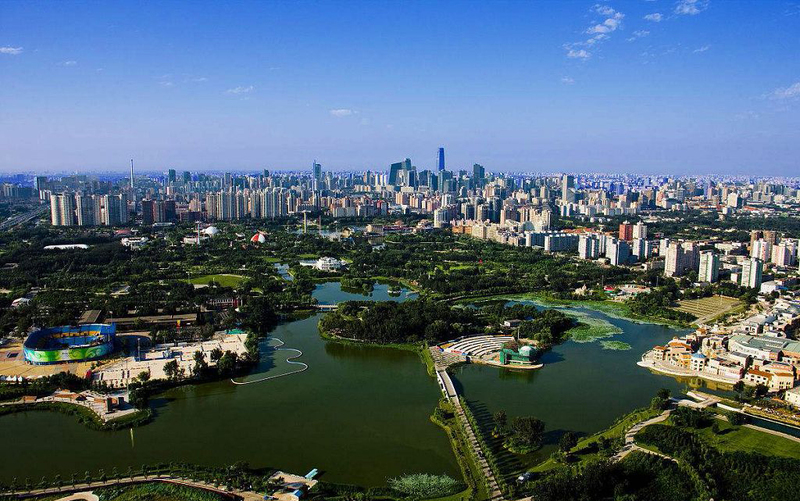 The listing covers apartments and serviced apartments in CBD, Sanlitun, Chaoyang Park, Lufthansa area and etc., as well as houses/villas near the international schools in Shunyi area, furnished or unfurnished. We offer all types of residential properties for lease, that are suitable for corporate housing and individual home finding needs. Fullhome worked quickly to understand our needs, then very quickly found us a property to match these needs. We have been very happy in the property. The after-service that we have received from Fullhome over the past three years has been first class. We are very grateful to Fullhome for looking after us so well during our stay in Beijing! Without my real estate consultant, the move to China would have been impossible. My real estate consultant has been very hardworking and professional, we are glad to have her help with our apartment. She is definitely an asset to the company and we wish her best of luck! --Ms. Tina Brenner, Vice President, BMW Automotive Finance (China) Co., Ltd.
My consultant was very well prepared and quickly understood the needs of my family! My consultant is very professional and has looked after my requirements in a very good manner. I would like to thank both her and Fullhome for making my apartment rental so easy! Our customized orientation tour is a great way to familiarize assignees with a new city, our professions are able to answer your immediate concerns. With in-depth local knowledge, our professional consultants help you to pre-select, short list the options and accompany for viewings. They can your invaluable resource. Our school map on website will enable you to combine all essential information connect to schools which is the top important thing for families with children. Our in-house immigration team together with our destination service consultants make every step of your relocation process smooth and efficient. Our settling-in service will help you experience a smooth start with new environment. We will help you with tips and hookups on utility and internet, bank account. We are always with you during the entire lease term, we are always your bridge with landlord, and always a help of the household issues. You do not need to pay for our service. The landlord will pay an agency fee once the lease agreement is signed. We suggest that you start searching for a place one or two months before your desired lease commencement date.If you start house hunting too early, generally landlords will not agree to hold their properties for you, thus diminishing the chance of negotiating the best lease rates for you. There are many housing options from which to choose; you may choose to find housing in apartment complexes, houses, villas, or lanehouse/old garden house in downtown areas. It is important to discuss with your property consultant before you decide where to locate your family based on your housing budget, office location, children’s school and other preferences. No, you can lease a property without a residence permit. But if you will reside in Beijing, you must apply for one. 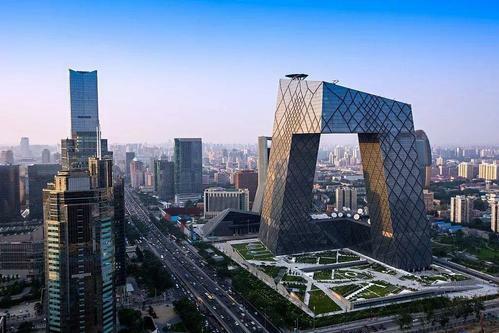 More information from the Beijing Government on residence permits can be found here. Yes. Most of the properties are furnished. However, some landlords can be flexible to remove part or all the furniture while somelandlords may refuse to remove any furniture simply because it is too much trouble to find someplace to store them. In some newly developed compounds, you may also request that the landlorddecorate the property according to your taste, such as purchasing the furniture together with the landlord or simply receiving a furniture allowance to buy the furniture by yourself. Electrical appliances (such as TV set, refrigerator, oven, microwave, washing machine, dryer, DVD player), furniture (bed, sofa, coffee table, dining table, dining cabinet, study table and etc.,), curtains or blinds. Most of the villas come with parking space; if not, it is likely you can park at the side of the road in front of your house. With apartments, you have to specifically ask and negotiate with the landlord, some landlords already purchased a parking space when they purchased the apartment, and some may not. Expect parking to involve an extra fee ranging from a few hundred CNY to 2,000 CNY/ month for a parking space. If you have a motorbike, a parking space may save you a lot of trouble as some compounds are very strict about parking. Newly-launched compounds usually offer competitive price to attract tenants. You may have to face the following problems such as constant construction noise during the day, unfinished facilities (gym, shops, restaurants and etc.,), immature management support, unstable hot water supply, etc., We would suggest youcheck the occupancy rate (maybe chat with a couple of tenants) as well as check the condition of its public facilities before you choose a newly-launched compound. 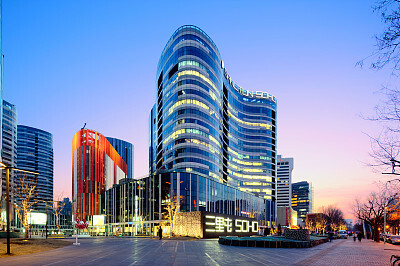 Browse our website online to get an idea of the property market in Beijing. Most of the gated residential compounds have standard layouts but differ in the interiors. Read compound descriptions, find locations, see listings of photo and price, and narrow down the options. Tell us your housing requirements and preferences by filling up the “Inquiry Form”. Factors to be consideredare: Preferred property type (such as villa, apartment, serviced apartment, courtyard) Property size and number of bedrooms Lease term and commencement date Housing budget Preferred location Furniture requirement (fully furnished, unfurnished or partially furnished) Commuting to work, home, school and etc., Particular facilities required (such as gym, swimming pool, tennis court and etc.,) City orientation and schooling requirements Other particular requests or preferences such as decoration style, direction facing, floor preferences etc. Based on your “Inquiry Form”, our property consultant will send you a list of suitable properties prior to your house hunting. On the house hunting day, our consultant will give you an overview of Beijing’s expatriate residential communities integrated with customized orientation programs such as schools, hospitals, supermarkets, banks, restaurants and etc. After visiting each property, give your feedback to ourconsultant so he/she will know your likes and dislikes and will be able to make your search more efficient. Once you choose your preferable compounds, our consultant will show you all the available unitsin those compounds to let you make the final decision. · Lease Negotiation &Contract Signing. When youselect the properties you like (first choice and backup choices), provide your consultant with the list of additional items that you would like to be added with regard to furniture and other renovation requirements (if any). Your consultantwill review your list and add some more that you may have neglected (if any) and negotiate with the landlord. For corporate clients, our consultantwill also work closely with your company HR or Relocation Company to ensure that the contract will adhere to your company policies. Upon acceptance, our consultant will prepare the lease agreement and send to both parties for signature. Although your ideal apartment might make you want to move in tomorrow, you still need to check some details to ensure a comfortable stay.Does the heating/air-conditioning system work properly? Do ceilings or floors crack? Don’t be afraid to raise these issues within reason. This being said, it is important that these matters are handled delicately so as to avoid making the negotiations confrontational. Often times, a conflict at this stage will put the landlords off entirely. It is best to draw up anyreasonable requests and ask your property consultant to work on them. It is important to know if your landlord is reasonable and responsive to any legitimate concerns. Although price may be a big factor in your housing decision, you should consider that a willing landlordcan make your stay more pleasant. The lease agreement is usually bilingual (Chinese and English) unless both parties are comfortable with one language. The template is normally standard, you need to pay attention to the lease term, deposit, rent and other charges, termination clause (if any), penalty term, landlord’s ID and ownership certificate and etc. Usually your property consultant will help you go through the lease agreement to make sure your interest is well protected. Make sure that you clearly understand what is included in the rent and what is not, to avoid any misunderstandings later on. One year lease is very common. However, a lot of landlords prefer longer lease, especially if you have requests for specific furniture or renovations. If you have a one year lease, you may face rental increase or decrease when you negotiate renewal upon lease expiry. We suggest you talk to your property consultant to evaluate the pros and cons before you make the decision on lease term. The deposit is paid within several days upon signing the lease contract. The common market practice is for you to pay 2 months’ rent as security deposit if the rent is payable on a monthly basis. If you will pay rent on a quarterly basis, the deposit is usually 1 month’s rent, however, some landlords will insist on 2 months’ rent regardless of rent payment terms. Currently there is a strong trend that corporate clients are using Bank Guarantee Letter as security deposit instead of paying cash deposit. Some landlords will accept this depending on who the corporate client is, while other landlords will not. Your property consultant will work with you to obtain the best terms possible. Fapiao is an official tax receipt in China which is issued by the local tax authorities. Currently the tax rate is 5% of the monthly rent. Corporate clients always require Fapiao for tax clearance, but for a personal lease, it may not be necessary unless your company needs it for accounting purposes. Rent payment is flexible. The most common way is to pay quarterly (with one month’s rent as deposit) or monthly (with two months’ rent as deposit), sometimes you can also pay every 2 months. For corporate lease, your company will make the transfer. For personal lease, you may pay by cash (a receipt is very essential) or by bank transfer (note: the account number has to conform with the landlord's information on the lease contract, or at least the account name should be the landlord’s name). CNY is the common currency used for rent payment. Even though rarely accepted, you may be able to pay by foreign currencyprovided that the exchange rate is agreed between you and the landlord. A thoroughcleaning would be necessary. Ask the landlord to double check all the electrical appliances, phone line/internet set up, make sure they are all in working condition. Your property consultant will prepare a “Check-in Record” whichcontainsan inventory list of furniture and appliances/facilities. The property consultant, you and the landlord will go over the property to check if everything is on the list. We would suggest youput into writing on this record any defect in the property upon move-in, such as cracks, spots, and other damage. The property management staffwill help to check the utility meters and instruct how to set up the utilities. In the end, the landlord will hand you the key and the “Check-in Record” will be signed by you, the landlord and your property consultant. It is better to test the TV signal, internet, phone, main appliances, lights and door keys before you sign the record. If there are any outstanding issues, write them down and your property consultantwill coordinate with your landlord to assist you in solving them. Yes, police registration is one of the first things you need to do after moving intothe leased property. You would bring the lease contract, your passport, a copy of the landlord’s ID and a copy of the landlord's ownership certificate to the local police station to register. The whole process should take no more than 20 minutes. Upon check-in, the landlord will hand you pre-charged cards for water, gas and electricity, your property consultant will explain to you how to use them. Water: For cold water, you would pay the bill at the ATM, for hot water and toilet water, some compounds use pre-charged cards, the others you can pay upon receiving the bill from the property management office. This will all be explained at your check-in. Gas: Charge the card at the Beijing Bank or the property management office. For some compounds, you have to go to the specified bank to charge the card. Electricity:Use the ATM or go to the property management office to charge the card. Phone/Internet:You would pay at the Telecommunication Bureau or nearby banksafter the 10th of each month. In some compounds, it can be paid at the property management office. Again, these will all be explained in detail upon check-in for your particular property. IKEA might be the first thing that comes to your mind. To explore local stores, you can find modern-style furniture in places such as Easy Home, Qu Mei, B&Q and etc., If you are considering an unique style, Panjiayuan Antique Market sells everything from textiles by China’s southwest minorities to reproductions of contemporary Chinese art. Generally, if there are any repair and maintenance issues, you will first call the property management office to seek help.However, if you don’t speak Chinese or if the management office fails to solve the problem, our property consultant will coordinate in between the landlord and the management office to help you solve the problem.We will always be there to help you throughout your lease term. Your Move in Date ASAP Not defined, in few months Not defined, waiting for visa. More information of this specific unit. More available units of this compound. More similar options in nearby area.